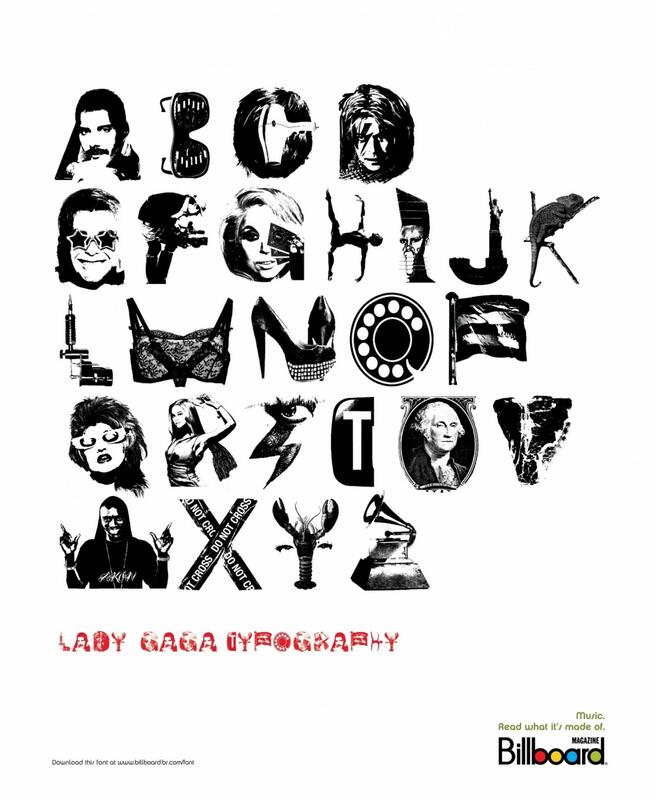 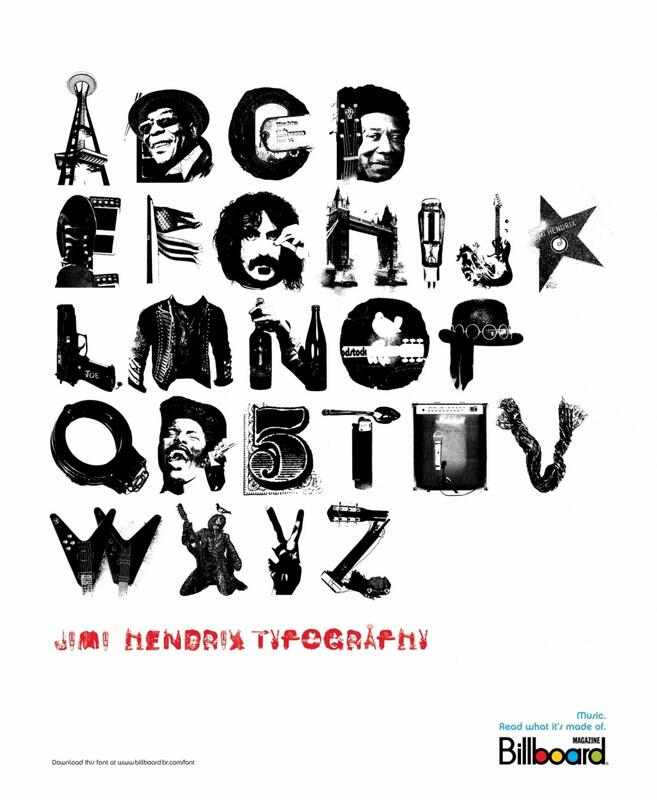 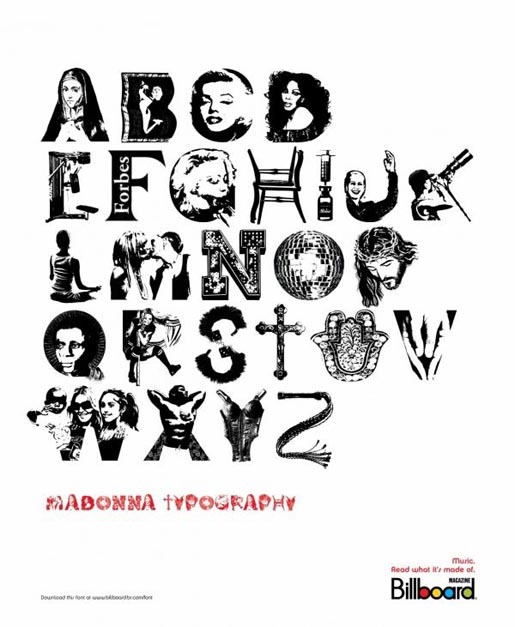 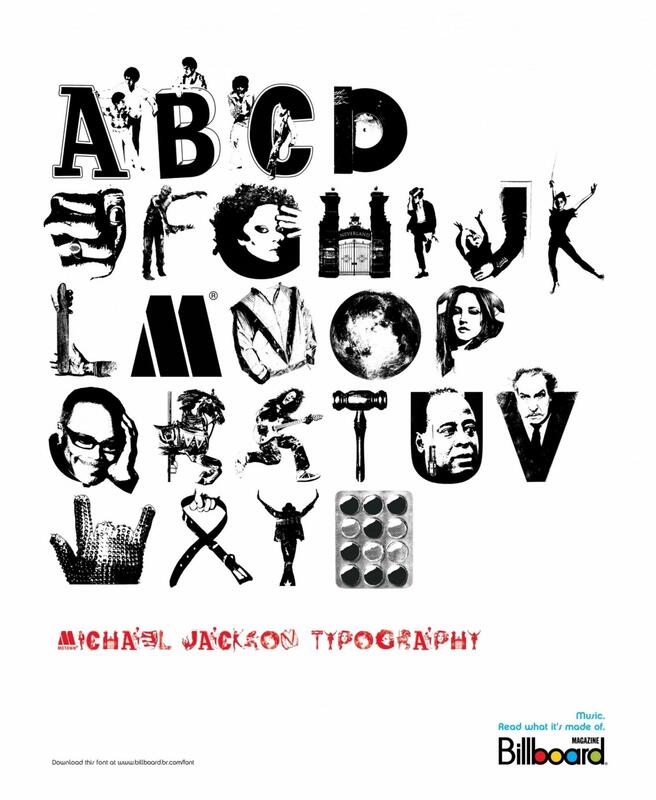 Billboard Magazine in Brazil is offering free downloads of fonts based on the life and work of six well known rock musicians: 50 Cent, Jimi Hendrix, Lady Gaga, Iron Maiden, Michael Jackson and Madonna. The typefaces are available online at www.billboard.br.com/font. 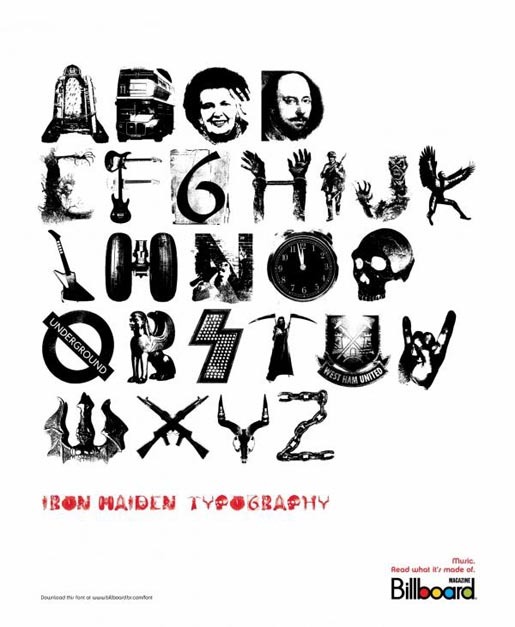 The print advertising campaign promoting the fonts won a Gold Press Lion (Print and Media), Silver Press Lion (typography) and Bronze Outdoor Lion at Cannes International Festival of Creativity. The Billboard Fonts campaign was developed at AlmapBBDO, São Paulo, by chief creative officer/creative director Marcello Serpa, creative director Luiz Sanches, art director/illustrator Marcos Medeiros, copywriter Andre Kassu, advertiser’s supervisor Filipe Bartholomeu, account manager Antonio Camarotti.